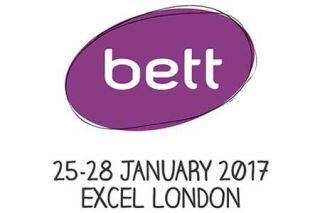 Sesterday was the first day of Bett 2017, and while it was exhausting (as usual), it was great fun. I was invited by Groupcall to interview Sir Bob Geldoff, which I did as a recording. Someone said to me "You're going to have to edit out all the swearing afterwards." "But there won't be anything left! ", I replied. But as it happens, Sir Bob was more than usually restrained, and only used the 'f' word twice -- each time entirely appropriately, so I will leave them in. Unfortunately, people at Bett have no respect and refused to maintain 15 minutes' silence, so I'm going to have to try and reduce all the background noise before publishing the interview, but do look out for that. On the subject of Groupcall, they have some great products for enabling schools to make sense of, and use of, the data they collect through their information management systems. See, for example, my write-up of their Emerge application, Saving time and money with Emerge, so do visit them on Stand B188.